Remember when The Martian was the hottest book around? I’m hesitant to say that “everyone” was reading about it and recommending it, but it was one of those books that kind of felt that way. Well, while I might be a few months too late, I think Seveneves is 2016’s The Martian. I haven’t finished the book. My Kindle tells me I’m 70% of the way through. I’m totally hooked, though, and I’ve found every excuse to read it over the last week. Anything I mention below is information that you will know if you read the first 1-2 chapters. DO NOT read the description on Amazon or even the back cover of the book. It’s a HUGE spoiler. Really. Don’t read it. With that out of the way, here’s the deal with Seveneves (said like “seven Eves”): It’s set in the very near future, so it doesn’t read like sci fi at all. Rather, it’s very much in the style of The Martian–the science is current and real, and the author (Neal Stephenson) describes it with meticulous precision. Occasionally it’s a little too detailed, and I’ve skimmed some paragraphs. The book starts off–literally the first sentence–with the moon exploding. The book is not about why the moon exploded–that mystery is soon forgotten. Rather, it’s about what’s going to happen because the moon exploded: Within a few years, the moon is going to disintegrate into so many fast-moving pieces that they will pelt the Earth. It’s an extinction event. So people have a few years to try to figure out how to preserve humankind. The solution–again, this is all within the first few chapters–is send as many people up into space to rebuild civilization while the Earth is destroyed and reborn, a process that will take 5 thousand years. 5 thousand! Remember, this is near future, so they basically have to figure it out using the resources that are available to us today. And at first it just seems impossible. You could survive a few months in space, maybe a few years, but 5 thousand years? In outer space? The amazing thing is that that the book will make you believe that it’s possible. At least, enough so that you’ll keep reading. I’m loving Seveneves. Just like The Martian, I can’t put it down. I want to know the ending. Then I want a movie. And maybe a board game. This entry was posted on Thursday, October 13th, 2016 at 11:02 pm	and is filed under books. You can follow any responses to this entry through the RSS 2.0 feed. 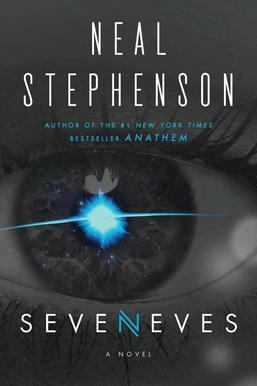 I agree that Seveneves is nearly impossible to put down! I’m at 37% according to my Kindle right now. The way this story is unfolding, I have to know what’s coming next, even if it means reading into the wee hours of the night. I read this twice back to back and then again a few months later, I loved it so much. I truly think knowing ANYTHING about it ruins some of the sense of discovery at not just where it ends up going but each step along the way… I had had managed to not even know Stephenson had something coming out before I heard about its then-recent release, so I dove in completely unawares and had my mind blown. In my Perfect World That Will Never Exist, the film for this book is a trilogy: the first act is a disaster film directed by Rian Johnson, the second is hard sci-fi by Duncan Jones, and the third is a sort of speculative fantasy directed by George Miller. I envy that you have yet to finish it, and so get to experience that for the first time. Enjoy. I’m still 60% through the Method’s of Rationality, but this has been put on my list. Sounds like the Martian with a little bit of Foundation thrown in. I really liked the first 70% of Seveneves too. I felt a little different about the last 30%. Still good, but I didn’t enjoy the end as much as I enjoyed the beginning, when they were sciencing the **** out of things. But I did read the whole book super fast. Recommended.